Betway Casino has been in the business since 2006. It is licensed by the gambling authorities of Malta and UK. Together with Paddy Power and Betfred, Betway Casino has become one of the leading UK bookies. The television ads and sponsorships it made in 2014 boosted its fame exponentially. With a huge game offer selection of over 500 titles, including more than 400 slots, it guarantees to satisfy any taste. The games can be played either in download mode for both PC and Mac users, which takes up to eight minutes, or in flash version, that does not require any data transfer to your computer. The casino is part of a bigger gambling plan, so if you are into sports betting, you can do it from the sports category. You will find bets available for any sports you would like, carefully organised over the time remaining until the event. All your investments are protected by an SSL encryption, that prevents third parties obtain information about your bank account or login credentials. The games in the casino co ver many areas, starting from slots to video and live casino. Microgaming is the provider of all the games available at Betway Casino. The big slots offer includes the classic three reels slots, the most advanced five reels or the progressives. Thunderstruck II, Avalon II, Terminator II, Immortal Romance and Mega Moolah are some of the most renowned games. The casino section offers blackjack, roulette, baccarat, table poker, craps, single and multi hands poker variations. Live casino is not missing from the scenery. Authentic dealers throw the dices and deal the cards 24 hours a day, 7 days a week. 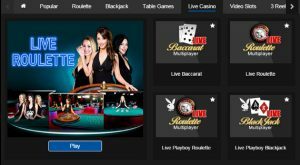 Unfortunately, players from Australia, Bulgaria, France, Denmark, Germany, Greece, Iran, Irak, Greenland, Mexico, North Korea, Russia, Romania, Turkey, Singapore, South Africa and the United States are restricted on playing the casino games, but some of them can place sports bets. The welcome bonus spreads over the first three deposits: 100% up to $250 for the first deposit, 25% up to $250 for the second and 50% up to $500 for the third. The three deposits are granted only if they are requested within 7 days from opening the account. The wager conditions rise to 50x, but they apply only to the bonus. Also, only slots and parlor games count 100% to the wagering. If you are not a high roller to deposit $2,250 in the first seven days, you can activate the bonuses too with only $20. The loyalty program has six levels: Blue, Silver, Gold, Platinum, Diamond and Prive. You are given loyalty points as you play, that can be converted to cash into your account and get you to a higher level in the loyalty program. As you move up in level, the rewards will get better and bigger. Betway keeps up with the technological trends and offers personalised apps for Android and iOS users, which can be downloaded from the Apple store or Google Play Store. The casino and the sports book have different versions of the app. They are well designed, run smoothly and have good animations a sound effects. You can deposit or withdraw with the usual payment services: Visa, debit and credit cards, bank transfer, Neteller, Skrill, Click2Pay, EcoCard, Instadebit or ClickandBuy. The minimum deposit varies from $5 to $10, depending on the method. The minimum withdrawal is set at $10. Players can contact the customer service 24/7 via live chat or e-mail. Betway guarantees that you never have to wait longer than a few minutes to get your answers.